We spoke at length about Oliver Stone’s 1991 masterpiece, JFK. Here’s Part III and the conclusion. Part I can be found here and Part II can be found here. ZS: He pulls it off! SS: I totally believe that. He’s one of these legendary actors. ZS: Was this Dances With Wolves? SS: Actually, this was Silence Of The Lambs. It won Best Picture, Best Director, Best Actor, Best Actress and then also Best Adapted Screenplay. ZS: WOAH! Silence Of The Lambs won all of those? SS: It won a lot of Academy Awards – those five. And all five were the “major” ones, kind of dwarfing the other films that were nominated that year – including JFK, which received eight or so nominations (and I don’t know if it won any, maybe two or three) but they were smaller categories, upon which most people wouldn’t necessarily recommend a film, “Oh did you see JFK? It won Best Art Direction,” which is nice for people involved, though not terrible compelling. [I don’t know if that’s actually true because sometimes a movie can be visually stunning and worth a look – ed.] The other movies nominated that year: Prince Of Tides, starring Barbara Streisand and Nick Nolte [Woah, 1991 – ed. ], that’s one of those psychological, personal narratives that I’m not necessarily drawn to, but I’m sure the acting was good. Beauty And The Beast was nominated for Best Picture [And should have won, in my humble opinion….or maybe not -ed. ], which is funny. That may have been the first time an animated film had been nominated for Best Picture and I guess that shows the strength of Disney, back then. We can also talk about Bugsy. SS: Bugsy, Bugsy Siegel, the famous gangster. Just the fifth of five movies nominated that year. Warren Beatty, Annette Benning – you know that classic pairing. I don’t want to say it was a weak year, but there have definitely been stronger years for Best Picture. You’ve seen Silence Of The Lambs I’m assuming. SS: I’m so glad your parents decided to bring an infant to the movies. ZS: I slept through most of it, but then later as a teenager I watched it again. SS: Are there “memory flashbacks,” kind of embedded in your brain. ZS: No! Ha, no memory of it. SS: Of those five films, I’ve seen three of them: JFK, Silence Of The Lambs, and Beauty And The Beast and I think it’s safe to say Silence Of The Lambs was the right choice that year. It’s really distinguished itself as one of the best films ever made. 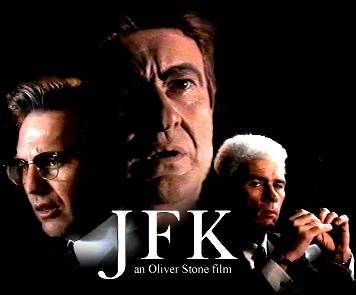 Unfortunately JFK, even though we’ve talked about its important place in film history as a pseudo-documentary slash biopic didn’t necessarily earn any major award categories, though Oliver Stone was nominated for Best Director and Tommy Lee Jones for Best Supporting Actor. It was definitely littered with nominations. In terms of film lore and history, Silence Of The Lambs is one of those all-time-great ones. The last one to pull of a sweep like this was another all-time great, One Flew Over The Cuckoo’s Nest in 1975. It’s transcended it’s “datedness” as it approaches 40 years young and it hasn’t lost a step. Any other comments? Observations about JFK. ZS: I noticed that Joe Pesce literally plays the same character in every movie that I’ve seen him in. SS: Kind of the overly-frantic, overly-dramatic character? ZS: I would say…psychopathic and borderline murderous gangster. But yeah, very fast-talking, psychopathic, murderous gangster. SS: He definitely carved out his place in film history. He’s basically retired at this point. ZS: Oh yeah, he’s very much retired. SS: I may have read something about him being in another, recent movie? ZS: I think he’s been in two movies in the past decade. SS: He kind of gracefully bowed out. If we talk about him in terms of his character – that may not have been the way we’d have expected him to go out. SS: Thanks a lot for taking the time to record this with me! Let’s do this again, soon.